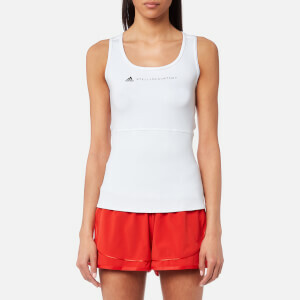 Women’s adidas grey knit shorts designed in collaboration with English fashion designer, Stella McCartney. Crafted from cotton blend fleece, the slim fit shorts are designed with a wide elastic waistband with signature branding, piped details and a side zip pocket. 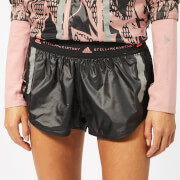 Complete with an embroidered adidas by Stella McCartney logo on the left leg.